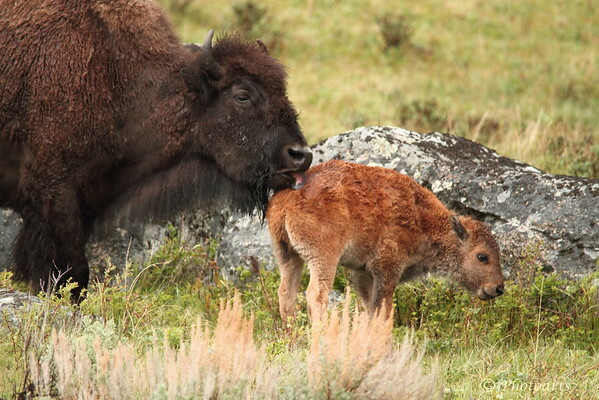 Bison mom licks calf clean in Yellowstone National Park. Wonderful wildlife capture of mom & baby calf, so adorable! Your timing was surely terrific...wonderful shot! Sweet Shot! Wonderful moment you captured between the mother and calf. This is a great shot--so nice seeing the sweet caring of something like a big bison, with her tiny baby. Great to have seen, much less capturing it with your camera.